As the author writes NYT, one of the objectives pursued by the reform last spring was to weaken the dependence of the island of Russian money. However, the European Union after the event that initiated the reform has achieved the opposite effect: losing deposits, Russian will actually get the majority Bank of Cyprus — one of the system of financial institutions of the European Union. "They (the EU) would like to oust Russian, but instead they gave it our top bank", — the president of Cyprus Nikos Anastasiadis in June. "He who controls the Bank of Cyprus — controls the island," — said the lawyer Andreas Marangos, whose clients included many Russian investors. Under the new rules Bank of Cyprus, 47,5% of each major contribution converted into shares of the bank. "As a result of the forced transfer of deposits in the action until the disorganized and fragmented group of contributors, most of whom are Russian, a controlling stake," — says author Andrew Higgins. At the same time, he points out that the actual management of the bank is, as before, the Central Bank of Cyprus. "The Central Bank has appointed a new interim board … and a new manager. Consultations with the new shareholders were not carried out," — he writes. As previously reported, Bank of Cyprus has a debt to depositors of $ 11.7 million, which he got from the burnt-out Laiki Bank. 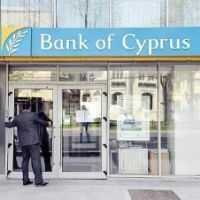 In this case, Bank of Cyprus "still retains a unique position on the extent of its influence on the economy and political affairs." The author writes that the Russian authorities are angry that lost millions of Russian banks in Cyprus, but do not intend to lose its influence in the region. He recalls that Russian government to ensure that its air forces have opened access to the air base in Paphos, Air Force, and the military — in the Cypriot port. "The most entertaining in the news that initially, when only the beginning of understanding" depth of the Mariana Trench Cyprus "just went to a joke," that soon Cyprus will be another area of our vast country. "And, as it turned out, in every joke there is some joke — commented the chief specialist of the Bank‘s securities "INTERCOMMERZ" Ivan Kibardin. — But anyway, I do not think that this will bring a fun fact that something significant for those who were forced to move their money into securities Bank of Cyprus. Maximum, is the maintenance of their own pride. Indeed, in that case, if the Russians got a real opportunity to control the Bank of Cyprus, then it would cause a lightning criticism from Europe, which is not profitable today or Cyprus or Russia. " According to the analyst "Investkafe" Anna Bodrova, the Russian capital would be interesting control of Bank of Cyprus in the perspective of two to three years, when the country went back to business and third-party finance. "The fact that this happens, there is almost no doubt — twice in the same round hole does not get, the more the financial system of Cyprus is undergoing major changes," — said the expert. Of the benefits of control over the Russians Cypriot bank analyst called simplified access to the supervision of the movement of deposits. "It is possible that maybe the actual management of the bank, if the shareholders will be determined in a lawful manner. So far, this situation will not affect the financial sector in Cyprus — is in full swing reforms and changes, so any conclusions can be made later on, say, by the end of the first quarter of 2014, "- says Anna Bodrov.